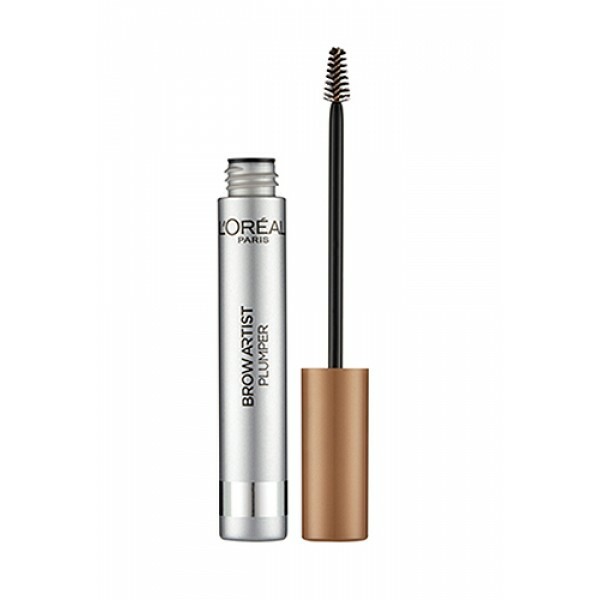 A tinted brush on gel that contains microfibres to create the appearance of naturally thicker and more defines brows. Brow artist plumper has been specifically formulated with a non-permanent, tinted fibre gel that is both waterproof and non-shiny. Each 0.4mm fibre is applied easily with the mini brush, plumping thin areas of the brow to give full body and character to the face. Apply directly to brows either on its own, or over the top of a brow pencil to intensify the depth and shape of brows. AQUA / WATER, STYRENE / ACRYLATES / AMMONIUM METHACRYLATE COPOLYMER, ALCOHOL DENAT., BUTYLENE GLYCOL, ACRYLAMIDE/SODIUM ACRYLOYLDIMETHYLTAURATE COPOLYMER, PROPYLENE GLYCOL, PHENOXYETHANOL, CAPRYLYL GLYCOL, ISOHEXADECANEAMMONIUM POLYACRYLDIMETHYLTAURAMIDE / AMMONIUM POLYACRYLOYLDIMETHYL TAURATE, RAYON, NYLON-12, STEARETH-20, POLYSORBATE 80, SODIUM LAURETH SULFATE, SODIUM DEHYDROACETATE, DISODIUM EDTA, PANTHENOL, TETRASODIUM EDTA, POTASSIUM SORBATE, SILICA, [+/-MAY CONTAIN MICA, CI 77491, CI 77492, CI 77499 / IRON OXIDES, CI 77891 / TITANIUM DIOXIDE, CI 75470 / CARMINE, CI 77007 /ULTRAMARINES, CI 77510 / FERRIC FERROCYANIDE]. (F. I. L. B165066/2). If you have any queries regarding certain ingredients please call: L'Oréal Paris on 1300 659 359.